When it comes to direct marketing, telemarketing is probably the most disliked method among both businesses and consumers. 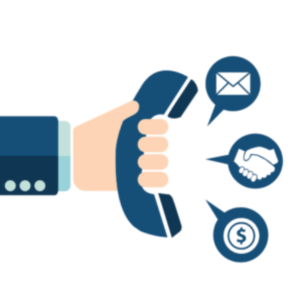 There was a time when telemarketing was huge, but over the years, telemarketing has gained a negative reputation as people generally associate it with irritating and persistent calls. Even though telemarketing is not dead, its importance has significantly reduced. Today businesses are going for online marketing like email and content marketing. You can reach a wide area through digital marketing. With that being said, telemarketing is still a practical marketing method for many businesses, especially for B2B marketing. Telemarketing has its advantages. You can instantly connect with your prospect and determine their needs. You can educate them about your product or service and get instant feedback. It also an effective way to create brand awareness and negotiations are easier done on the phone than through a computer. The biggest obstacle facing telemarketing nowadays is that people don’t really answer their phones anymore. We are becoming increasingly reluctant to talk on the phone. Emails and texts are considered the best way to contact people as it takes up less time and is less intrusive. As a result of the majority of businesses are working on their inbound marketing, hoping their social media campaigns and SEO are going to be enough to get their phones ringing. Now is the perfect time to set yourself ahead of the crowd and work on your outbound marketing. Don’t hope that your prospects are going to find you. Go out and find them and talk to them. Be engaging. Like anything direct marketing method, telemarketing success depends on the telemarketing list used. The more targeted your list, the better your responses are going to be. It’s not worth the time and money trying to convince people who have no use for your product, that they should buy your product. Do you research. Take an objective look at your product and who your current clients are, to determine who you should be targeting your telemarketing efforts on. The key to a successful telemarketing campaign is getting the right people on the phone. Your message also needs to be appropriate and potent. A scripted dialogue can turn off a prospective customer so try not to appear too rigid. Speak as you are having a conversation, listen and let your prospect speak and be passionate about your product. Do not underestimate the power of telemarketing. After all, with the proliferation global marketing, a phone call might be the closest you are going to get to your prospects. With a friendly voice and an accurate list of targeted prospects you can build a positive relationship with new and current customers and increase your direct marketing success.